RENEGADE ride sharing firm Uber will partner with military veterans under a unique deal to be unveiled today. Veterans or their spouses who sign up as drivers on the uberX platform before December 31 this year will pay no commission for the first three months. That would save a person driving for 50 hours-a-week hundreds of dollars in fees each week. Uber charges drivers a 20 per cent commission on all fares booked using its apps. 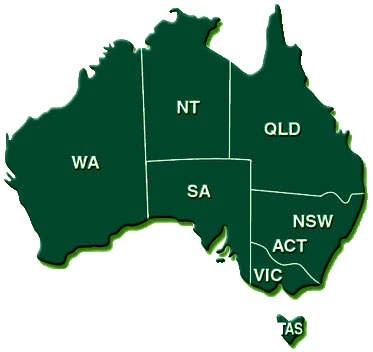 The deal is supported by the Royal Australian Regiment (RAR) Association, Australia’s largest defence discounts directory APOD and Enabled Employment. Ride sharing is seen by many veterans as an ideal way to integrate into the civilian workforce following a military career. President of the Royal Australian Regiment Association Mike von Berg said the Uber deal was an excellent employment opportunity for ex-members of the ADF who might be having difficulties. “It will allow them to be independent, operate as a sole trader and work the hours they want with less pressure than other jobs,” Mr von Berg said. He said employment was vital in the process of rehabilitating veterans with mental health issues as well. Queensland mum Claire Ashman has been driving for Uber for eight months and she has two sons in the military. 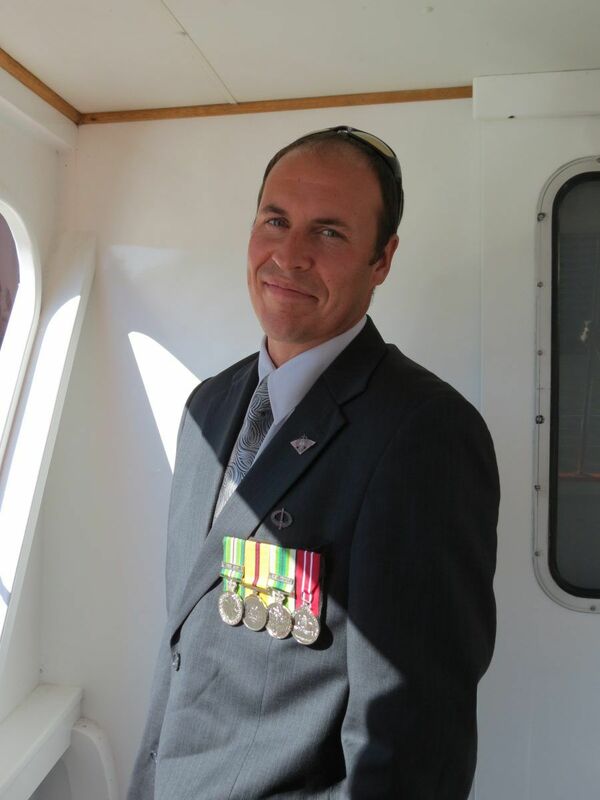 “I love it and I think it would be fabulous for veterans. They need all the help they can get to adjust and to have something like Uber is wonderful,” she said. Ms Ashman drives part-time for about 18 hours a week and has been rated Uber’s top Brisbane driver. Former RAAF airfield defence guard and flight attendant Clint (he did not want his surname published) has been driving for Uber for eight months after trying six jobs in five years following his 10-year military career. He works between eight and 10-hours-a-day and earns about $1300-a-week (pre-tax) after paying his 20-per cent commission to Uber. “I love the flexibility of it and I work when I want to and meeting new people is fun. I haven’t set an alarm clock for seven months,” Clint said. He said the nil commission idea to attract veterans as drivers was a terrific initiative. That would mean an extra $300-a-week for 50 hours work and it would allow veterans to see how they liked the work. Uber spokesman Mal Chia said the company wanted to help veterans to move smoothly into civilian life especially the thousands suffering from mental or physical injury. “Unfortunately while many of these men and women have risked everything for our country, transitioning from military to civilian life can be equally challenging,” he said. The 6th Battalion will conduct an Exercising of the Freedom of Entry to the City of Brisbane commencing at 0930 on Saturday 5th December 2015. The Battalion will commence from the vicinity of the Treasury Casino and march to King George Square, after having been ‘Challenged’ on Adelaide Street, to receive the Brigade Commander, The Chief of Army, The Governor of Queensland and the Brisbane Lord Mayor. Afterwards the Battalion will be hosted by the Brisbane Lord Mayor at a Civic Reception. 6 RAR Association members are encouraged to attend this march and show our enduring support for the Battalion. Following the march, association members can meet at The Grand Central Hotel, 270 Anne St., under Central Station. Easy to get to and away from, no parking fees. See you there! Not so long ago I was privileged to observe young soldiers of the space age training for war. They impressed me, not because of their military skills, (there was little time to assess) but clearly evident were the characteristics so essential for soldiers. Although weary and desperate for sleep, without exception they still have that familiar grin seen so many times under a battered slouch hat in even the most harshest and challenging circumstances. Their officer is still boss or skipper. They speak with confidence and with sense of purpose. Most evident even in such a short visit was the strong bond between them; pride in who they were and the regimental badge they wore. Today’s military has more challenges than ever before and given instant media reporting, all ranks require an exceptional high standard of tolerance and self- discipline. Soldiers have enlisted from an ever increasing soft and spoilt society yet must be capable of confronting the trials and terrible demands of war which remain constant regardless of time. Thus there is a need for each progressive generation to be trained even harder in mental and physical toughness to endure all. Such needs are not helped by ever increasing political correctness and Occupation Health and Safety. They still have the familiar nicknames for each other, as did their great grandfathers and some, although not complimentary and which would fail today’s political correctness test are meant with immense affection. No matter be it peace or war, the basic essentials of soldiering do not change including discipline, loyalty, love of country and devotion to duty. They possess all of such qualities as well as their great grandfathers’ mischief, sense of purpose and respect for each other and above all, the strongest asset of all, mate-ship. It’s London to a Brick that the ANZAC spirit is very much alive. He still lives this very day. Hi my name is Angus Sim and by now I am sure most of you who come across this fund raiser know that I’m an honest and fair person that represents the APPVA as the National President of the RLS ignored all my emails and phone calls regarding younger Veterans issues and a submission for a Royal Commission can not come from me. It has to be a National body. I will be using the most credible fund raising company called GoFundMe . Initialy I started this crowd funding to raise $10,000 as this is the figure that the lawyers need to start the proceedings and prepare documents for a potential Royal Commission into the DVA. Everyone who has donated so far has done a great job because it has started. We have received the 10K needed for the lawyer and had a meeting with him on the 15/10/2015 which went really well therefore, we will continue to have meetings and this is going ahead. The lawyer is taking it on. This will now involve flying APPVA members to Brisbane from all over Australia and other small direct costs. We have decided unanimously in the meeting to keep the fund open for extra cash for these incidentals. Any remaining funds at the end of the proceedings of the submission that aren’t used will be donated back to a charity/group of some description. Maybe we can have a vote on it. Just a suggestion. An article ‌that was covered recently by Ian McPhedran exposes some shocking information regarding younger Vets not being cared for and this is mainly due to the Act that has now been in place since 2004 (MRCA Act). The SRCA Act has major flaws also. As most of you are aware, there are quite a few serious issues that need rectifying within the department and we have been advised that a Royal Commission is the most cost effective way for making positive change. We are seeing in the papers, on the news far too many reports of veterans not being looked after by the DVA. The results of a survey ‌that I conducted totally contradicted the results of the DVA satisfaction survey and the many veterans that I have come across have serious issues with the department. This will be a great achievement because a Royal Commission will rectify these issues. I literally have hundreds of young Veterans statements that are so disturbing it makes me want to stop reading them. There are too many suicides contributing to the department’s lack of time wasting and bureaucratic processes on decisions pending especially veterans with mental health issues, this also causes severe undue stress on veterans and their families. It is all too common that veterans with accepted conditions (and are unemployable due to the fact) are left without any help or income from the DVA and some of these veterans live on the streets. The system is clearly failing our veterans and in particular our younger Vets who commonly come under the MRCA Act and SRCA Act that is under performing. The sad thing is we have military personnel in the Middle East on operations that may come home with injuries or illnesses, adding to the number that the DVA can’t even control now. Changes need to be made now not tomorrow but it’s not too late. Any donations are welcomed by vets and the public. A few bucks from everyone will reach our goal. You can stay anonymous when donating but I would appreciate if people with credibility release their name to give the fund raising peace of mind for other potential donors but it’s totally up to the individual. Please share far and wide so we can get these donations flowing in. Every $ counts. On behalf of the APPVA and the Veteran community, I personally thank each and every one of you. James Cook University will become part of the Army Tertiary Education Program, enabling Australian Defence Force personnel’s Royal Military College studies to count toward a business degree at the university. Commander of the 3rd Brigade, Brigadier Roger Noble, said the Australian Army made education a priority and said the arrangement would benefit applicants from around Australia and those on deployment. Brigadier Noble said the business degree was a good fit for the army, and he expected the agreement would expand to include other disciplines in future. “I think it is an immediate fit because the army is a big business,” he said. James Cook University and Lavarack Barracks were both officially opened on July 29, 1966, with prime minster Holt in attendance. At the opening of the army barracks, Mr Holt remarked that Townsville was fortunate to have Australia’s first university in the tropics and an “outstanding military establishment”. “It is said the pen is mightier than the sword and I suppose that argument still continues,” Mr Holt said at the time. Brigadier Noble said Mr Holt’s hopes for the university and army base and how they could interact and facilitate growth in the region had been visionary. “He clearly understood that putting a major army base and a major educational facility in the north would help grow Townsville,” he said. How will it ever be the same without such a comrade around? Did you ever meet a bloke so full of life? PTSD15 was an absolute resounding success. I could never have dreamed it would make such a difference although deep down that’s exactly what I was after. I’m pretty sure that in the space of two days we have advanced the direction of where we need to be with this illness by a year or two. We brought together a myriad of people involved in research, counselling and treatment who have expanded their knowledge and are now comparing notes for the greater good. To every person who was there as a delegate, a dinner guest, a presenter, a sponsor or a helper thank you for being part of such an historical event. To all of you and those of you who couldn’t make it please put September 8 and 9, 2017 in your diary because we will follow up. It will take us a while to disseminate all of this valuable information and put it in front of the authorities who count. We will then plan PTSD17 which will be bigger and better. In the words of Dr Andrew Khoo this will be THE PTSD event to attend. To the media who are still writing or reporting negative stories you should have been there to be part of the good news. There are hundreds of people in this country who are doing excellent work in this space. Talk to them. While PTSD15 was for the researchers, counsellors, clinicians, military and first responders we now have to take a lot of that information and inform and educate the public at large. For six months or so we have been working on a national campaign which will come to light shortly. Tony Dell from Stand Tall for PTS. 7.30 Report. By defence reporters Andrew Greene and Alex McDonald updated 18 Sep 2015. Foreign Minister Julie Bishop will lead a renewed diplomatic effort to retrieve the remains of Australian servicemen still listed as missing in action in Korea. 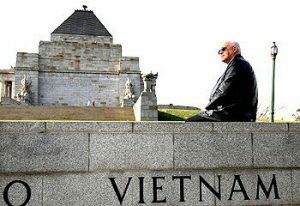 Of the 17,000 Australians who served in the conflict, 340 were killed and the bodies of some of those men were never brought home. 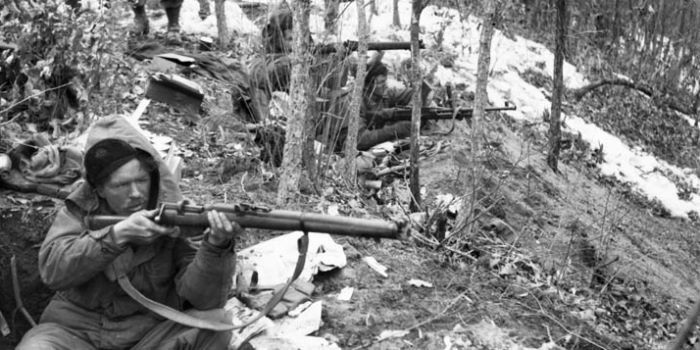 There are 43 Australian servicemen officially classified as MIA in Korea: 23 are Army from the RAR Battalions (1 RAR – 3, 2 RAR -2, 3 RAR – 17 and RHU – 1), 18 RAAF and 2 RAN. The Federal Government will again ask North Korea for access to sites along its demilitarised zone and attempt to recover any Australian remains. Assistant Defence Minister Stuart Robert has a personal interest in the Korean War. His uncle was the first RAAF pilot shot down over North Korea in July 1950. Although his uncle’s body was brought home, Mr Robert knows many others families were left in limbo. “I have enormous empathy for the families of the … Australians whose remains aren’t recovered,” Mr Robert said. While Pyongyang was not “welcoming us with open arms”, he said the Government remained hopeful the North Koreans would grant Australia access to these sites. “We hope for a break in the ice, as our Foreign Minister connects slowly with theirs,” he said. Ian’s father Private John Philip Saunders was among the Australian soldiers who never returned from Korea: he died during a night raid in what is now known as the demilitarised zone. In 2008 Ian sought to activate the Government into recovering the remains of the MIA. He made contact with thirty seven of the MIA families and has become their national spokesperson and co-ordinator. 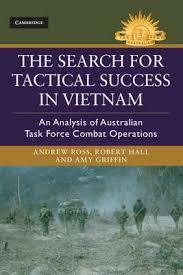 That evidence was discovered by Ian Saunders from AWM military records / war diaries / Operation Glory files and CARO Melbourne who had records confirming the last known location of 22 of the 23 Australian Army MIA’s. The documented evidence, 103 pages, was submitted to the Army History Unit, Campbell Park in August 2009 and subsequently passed onto Mr Brian Manns and hence the Unrecovered War Casualties (UWC) Unit was created. MIA Korea. Unrecovered War Casualties – Korea. Ian, supported by the MIA Families Group, in their quest for action has written countless letters to defence bureaucrats and politicians in Australia and has had direct contact with authorities both in The United States Joint Prisoner of War/Missing in Action Accounting Command (JPAC) and in the South Korean Ministry of National Defence Agency for Missing in Action Recovery and Identification (MAKRI). He has supplied JPAC with DNA samples from MIA relatives. Ian has previously lobbied Julie Bishop to seek the North Korean Government’s support. The Americans are the leaders in the identification of recovered remains and from correspondence with Ian Saunders they are willing to assist Australia with DNA testing when requested by the Australian Government. The Americans have been successful in their negotiations with the North Koreans to recover their MIA remains and in establishing an effective DNA testing facility in Hawaii. They have recovered the remains of some 1,000 MIAs but almost 400 are yet to be identified. Ian believes that some of those unidentified remains could be Australians. Supporting the MIA recovery campaign is Korean veteran, retired Rear Admiral Ian Crawford, President of the Australian Veterans and Defence Services Council and Michael Von Berg, President of The Royal Australian Regiment Association. The Government said it was open to the idea. “We’ve certainly made it very clear to our American friends that if they choose to do that work, then we’d be very keen to see what the results are,” Mr Robert said. Has the Minister made the request?